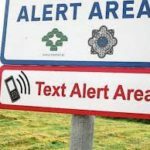 The Government has allocated funding for community text alert schemes to help prevent crime in West Cork, Cork South West Fine Gael TD and Minister of State Jim Daly has said. Minister Daly said: “Community groups working to prevent crime in West Cork can now apply for funding under the 2018 Text Alert Rebate Scheme, to assist them in their work. The initiative has developed as an important crime prevention mechanism with over 600 local groups across the country involving in excess of 120,000 subscribers and with an estimated 200,000 text messages sent each month under the scheme. 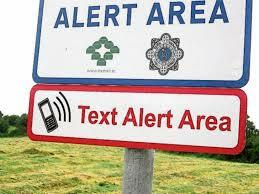 Minister Daly concluded by saying, “We have all seen the informative text messages that are sent out by community groups to it’s members warning them of suspicious activity in their area and reminding them to remain vigilant. For more information on how local groups in West Cork can apply for the funding they should make contact with Muintir na Tíre on 021 450 0688 or visit their website www.muintir.ie.